Sloan Dolphin 186 Exposed Urinal Flush Valve for 1 1/4". Designed for use in Saltwater and other Severe Water Conditions. 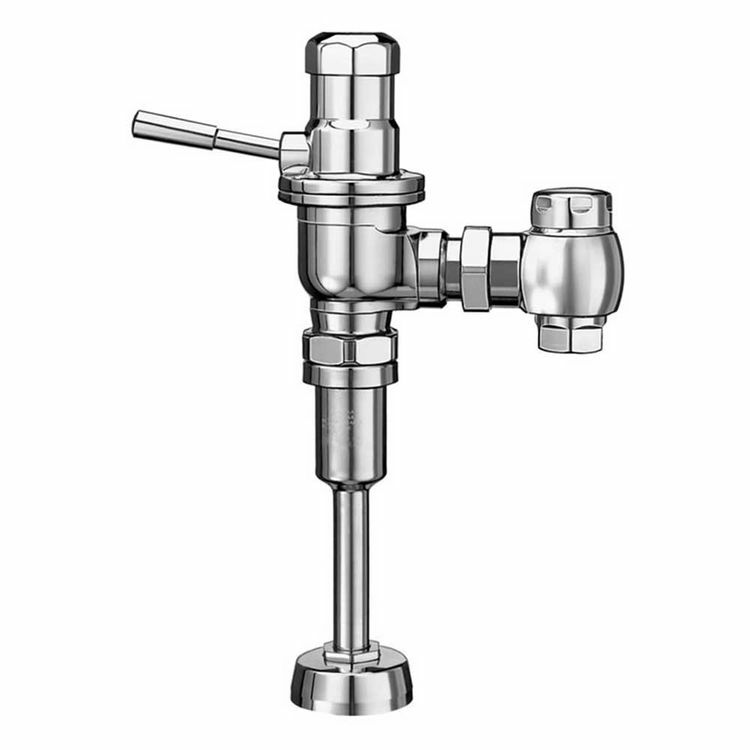 Sloan Dolphin 186 Has an Adjustable Flow Valve from 0.25 Gallons per Flush to 12 Gallons Per Flush, Set From the Factory at 1.0 Gallons Per Flush, and does not require water pressure to shut off. The Sloan Dolphin 186 features PERMEX Handle Packing, Stop Seat, and Vacuum Breaker for increased resistance to Chloramine, a non-hold open handle and no external volume adjustment to maintain water conservancy, and is cast from a high copper low zinc brass to resist dezincification. The Sloan Dolphin 186 also has a 1" Screwdriver Bak-Check Stop and a Vandal Resistant Stop Cap. Factory settings made at 40 psi (275 kPa) - flush volume will vary with pressure and flow rate. Valve Body, Cover, Tailpiece and Control Stop shall be in conformance with ASTM Alloy Classification for Red Brass. Valve shall be in compliance to the applicable sections of ASSE 1037.